Comment: I would like to get an estimate for filling in some depressions that were left by a tree stump grinding machine. I need my front yard level and presentable. Comment: We have added a free-standing garage and addition to our home. We would like to ensure that site properly drains and is suitable for plantings. Comment: The front and back yards are in desperate need of help. Comment: Front lawn was Bermuda grass that was severely damaged over winter and has not come back. It will need to be removed, lightly graded, and sodded. A sprinkler system would be good also, if affordable. Side & backyard are not included. Henrico Landscaping Companies are rated 4.75 out of 5 based on 915 reviews of 40 pros. 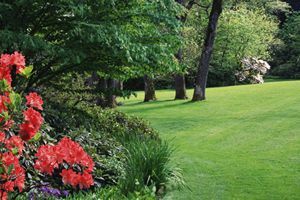 Not Looking for Landscaping Contractors in Henrico, VA?